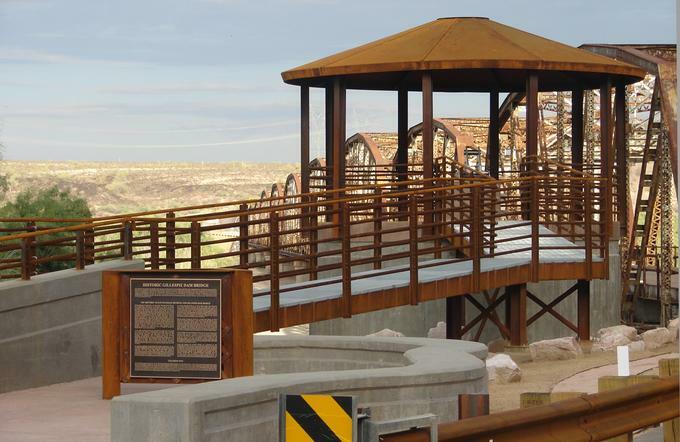 New street signs have been installed all over Gila Bend, replacing the green signs with gila monster. The above intersection was formerly Indian Road and Gila Boulevard. 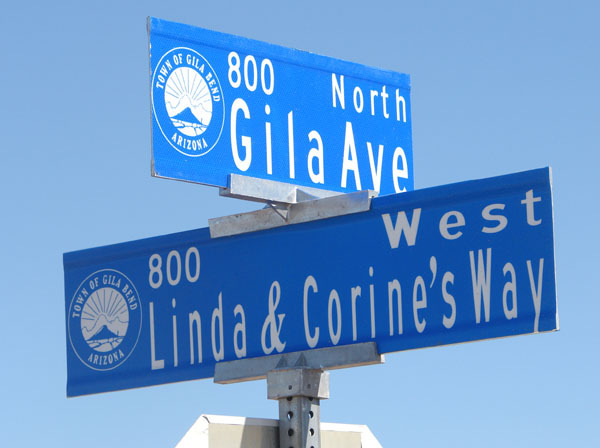 Linda & Cornie's Way was named for Linda Davis and Corine Turner, local women who wre killed by a hit-and-run driver. 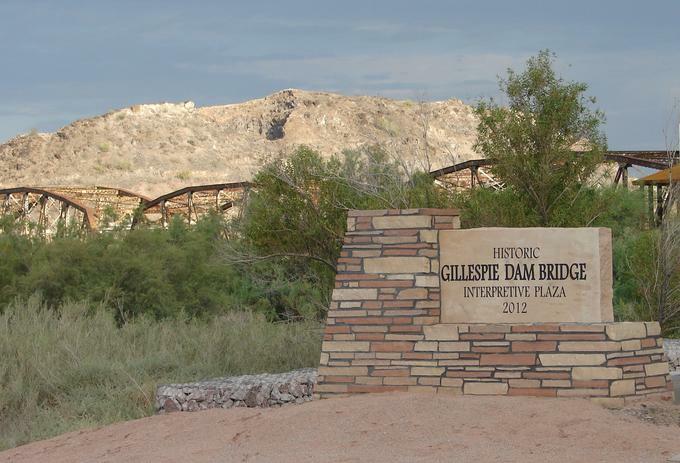 The Gillespie Dam Bridge Interpretive Plaza is open on Old 80 at the Gila River. Take the back road and check it out.